Approximately 300,000 people from around the world move to Canada every year as Canadian permanent residents, making this incredible country one of the top immigration destinations on Earth. Although people who immigrate to Canada come from various countries and diverse backgrounds, most of them share at least one common characteristic – a strong desire to find better opportunities in life. What is it about this big, beautiful country that attracts thousands of people from so many different countries and diverse backgrounds? 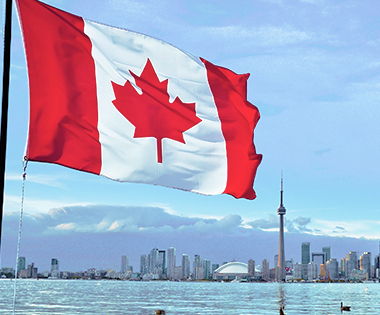 There are several good reasons to move to Canada which can be summarized by one word – opportunities! People who immigrate to Canada have access to many amazing opportunities that are the envy of the rest of the world. Canadian permanent residents have the opportunity to enjoy one of the highest standards of living on the planet. They have the opportunity to apply for good-paying jobs in Canada or to start their own business as entrepreneurs. There are excellent educational opportunities available for people who immigrate to Canada which can provide them with better career options. Canadian permanent residents have the opportunity to receive free basic healthcare in Canada. Almost everywhere they go and anywhere they look, Canadian residents have the opportunity to view some of the most spectacular scenery on Earth. After they live in Canada as permanent residents at least four years during a six year period and meet other criteria, immigrants have the opportunity to apply for Canadian citizenship. Finally, as permanent residents or citizens of Canada, immigrants have the opportunity to live in a progressive democracy where freedoms and human rights are protected by the rule of law in one of the world’s most multicultural countries. Canada – A Great Place to Live! A 2016 World Health Organization report stated that Canadians have one of the highest life expectancies (85 years for women and 81 years for men).